The Old West was actually comprised of three main style periods. These were the Regency, Victorian and Edwardian periods, with styles inspired by Europe. Throughout these eras, the styles remained quite similar, with practical lines and materials used to enhance their functions. In the Southwest, the Vaquero clothes worn by Mexican ranchers heavily influenced American ranchers too. 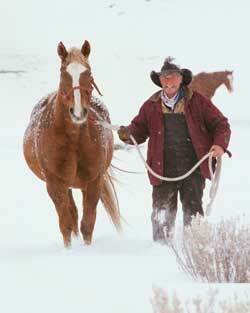 For basic ranch work, most cowhands wore dusters. These were overcoats made of canvas which served to keep the dust and wind off the cowboy. These garments were useful, with long sleeves and collars which kept the arms and face protected on windy and cold days. The back pleat opened for riding on horseback. Frocks were designed to go from day to evening wear. These garments reached below the knees, helping to keep gentlemen warm in inclement weather. The tailoring was as appropriate for business days in town as for social events at night. This style often sported bright metal buttons which kicked up the style for evenings spent in good company at week's end. The frock was a longtime silhouette for men's apparel. This item of clothing was equally worn out-of-doors on the ranch and in town while socializing. It featured notched lapels and extra stitching on the back. Covered buttons made of matching fabric were used to keep a sleek look. Paired with a shirt, vest, canvas pants, a bow tie and a gambler style hat, this was the classic rich rancher's wear. For those who preferred to carry rifles, classic rifle coats were the perfect thing. These long garments concealed their weapon of choice and completely covered their basic clothes. This was a very popular item that distinguished lawmen and the b ad guys they were after. Many sheriffs were known to wear this type of cold weather wear, often year round as the fabric used was not often heavy wool. With a full set of dress clothes worn underneath, the Coburn Great Coat was the perfect over garment. This wool coat was measured to fall below the knees. It featured a cowl attached at the neck which served as a cold weather cape. Made for keeping warm, these items kept many men warmer throughout the Old West times. Buying an authentic Ranch Coat continues to be a popular pursuit for men who truly enjoy the styles of yesteryear. These garments are practical choices for cold weather wear as their original designs were made to last. Purchasing Old West Coats from a historical supply company is the best way to have the most appropriate outfit. What do you use to pencil roll with,i redo old beat up hats by hand cuase i have no hat tools at all,just stuff i find around the kitchen.. Do you sale any that you use maybe like when you get a new one?Or where can i buy one?? Actually doing a hat right now from a design of one of your hats,big flat brin with a short stove pipe.Sort of the Wild Bill Hickock look.Sure wish i had a dadburn pencil roll tool!!!! I'm using plastic kids(grand duaghters)alphabet letters this one mostly X,wet the brim put the edge in cross space and hold at an angle and go around the brim,but i can only do so much of a roll :( Thanks for any help,man i love your website!!!! Please send a brochure of your heavy winter coats. Many thanks! 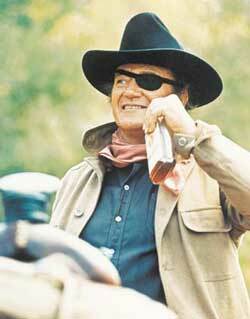 ilooking for over coat like the one Cleant Eastwood wear on at the bigining of the good the bad and the ugly movie. I just received the Mackinaw with wool lining, what a great coat, great for them winter SASS shoot's. Keep up the good work !